Raila Odinga to give a final statement in Uhuru park at 2.00PM, Protests or No Protests on the poll day will be known. - Bana Kenya News, Real African Network Tubanane. Home featured News Raila Odinga to give a final statement in Uhuru park at 2.00PM, Protests or No Protests on the poll day will be known. Raila Odinga to give a final statement in Uhuru park at 2.00PM, Protests or No Protests on the poll day will be known. NASA leaders to provide the last statement before the polls tomorrow in Uhuru Park at 2.00pm. 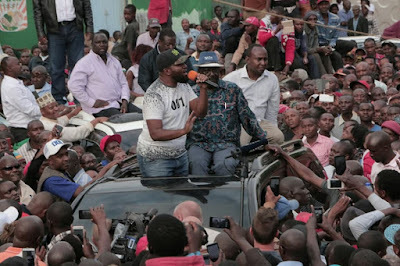 Raila Odinga said the demonstration will pause tomorrow and they will give directions if the demonstration to continue or not on the polling day. Siaya Senator Hon. James Orengo has urged the opposition supporters to stay calm and wait for the tomorrow directions. 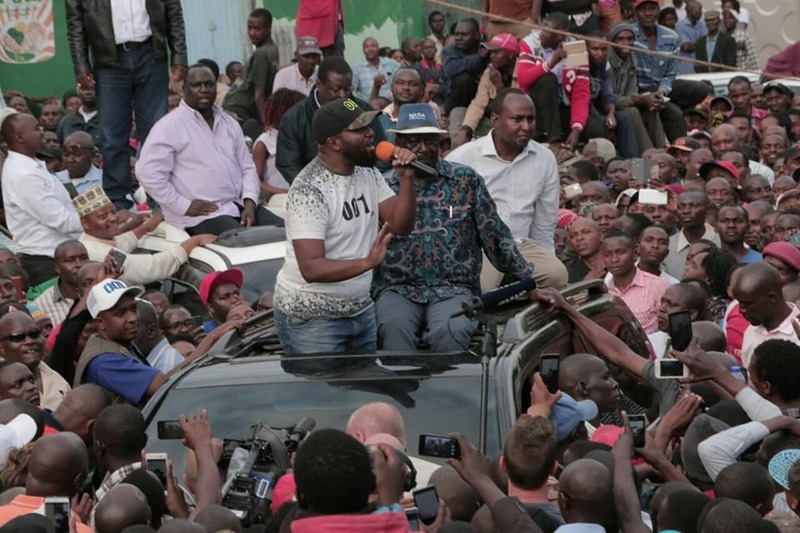 Speaking in Machakos, the NASA principles urged their supporters to stay at home tomorrow in various towns waiting for the last statement before the Jubilee opinion polls on Thursday. "We are staying the course and will stop at nothing less than a credible election. We urge those aiming to suppress our cause to acknowledge that as it's currently constituted, the IEBC is incapable of delivering a credible poll." Raila Odinga said. "The promises we've made to the Kenyan people remain binding and we intend to deliver on each one. There must be electoral reforms to enable this nation to move forward," he added. "With steady resolve and firm conviction, we march on towards Canaan, our destination. The aspirations of the Kenyan people will soon be realised as our victory comes closer with each passing day. We say again no October election!!!" Raila Odinga stated. Raila Odinga has denied saying that there will be Demonstrations on the poll day. More than 3000 GSU officers and Kenya Defense Forces have been deployed in Nyanza ahead of the polls. More than 1000 officers were also deployed in Eastern and Coast region while leaving the rest from Kahawa, Lang'ata barracks and GSU camps in Nairobi and Kajiado counties as alleged by the senior counsel James Orengo.